Credit to image used in pin goes to Foodmoods. – Changes were made to the original image. Staying healthy can be difficult most of the times. I mean you are usually in rush in the morning and you have a lot of things needed to be done, which makes you reach for the unhealthy drinks or coffee to get you through the day. But honestly, these are just temporary fixes that will cause you to crash and burn out later. Thankfully, smoothies will make it easier for you to keep energize and stay healthy. They are quick and easy to make, will satisfy your cravings, and comes nutritious. They’re a healthy way to add some energy to your day. And having said that, I’ve gathered down below some energizing ingredients you should be adding to every smoothie. They’ll help improve your energy naturally and sustainably. Plus, they all taste fresh and great, so you’ll enjoy more your drink and feel more alive. So check them out and let me know what you think! Spinach, kale, and parsley are leafy greens that have vitamins A, C, K, magnesium, iron, and especially B which all provide natural energy and keeps your energy levels up and running throughout the day. They can add fantastic benefits to your smoothie without even tasting them. Try adding a handful of leafy greens to the blender for some extra vitamins and energy. Seeds are a great and easy way to add protein and fiber to your smoothies which helps boost your energy. Chia and flax seeds are perfect for thickening up a smoothie and they instantly add a crunch factor. Also, they’re both rich in healthy omega-3 fats which makes your smoothie a hearty and healthy drink. Loaded with antioxidants that fight free radicals, berries will energize you by fighting inflammation, which leads to fatigue. A cup of different kinds of berries will also give your body a good amount of healthy Vitamin C. This is great for a natural boost of energy and is filled with fiber, great for keeping things moving regularly. Packed with vitamins, amino acids, fiber, antioxidants, and even a bit of beneficial fatty acids, wheatgrass is a great addition to your smoothie drink. It helps boost your energy and immune function while detoxifying your body. Also, it helps alkalinize your body to balance out high acid from coffee and meat. Banana’s doesn’t only make your smoothie taste great but also have vitamins, minerals, and good carbs, which give you quick energy. It’s filled with vitamin C, antioxidants, potassium, and fiber, great for times when you need a little energy boost. Try to make them frozen by simply chopping into smaller chunks and place into a ziplock bag before freezing. They’ll make a perfect energy boosting smoothie you’ll ever want. 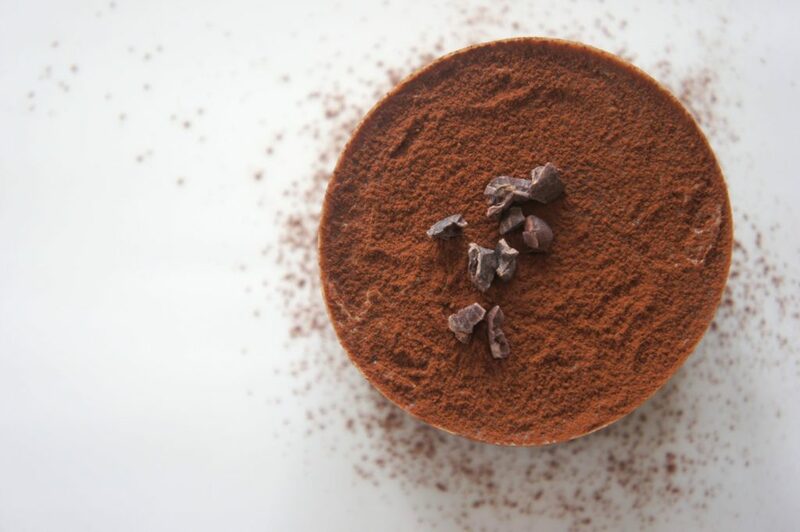 Instead of adding chocolates to your smoothie, why not consider adding some cacao powder which makes a great alternative without all the added fat and sugar. They are the raw form of chocolate and is one of the world’s richest sources of antioxidants and magnesium. They’re full of flavonoids, and unlike chocolate, they’re only minimally processed, so the nutrients are left largely intact. Did you know that low iron levels can cause fatigue? And as an easy solution, consider adding some oranges, grapefruits, lemons, and limes which are packed with vitamin C to help improve your iron absorption. They’ll provide a quick burst of energy and endurance. Squeeze them to any green smoothie and stay energized. High in antioxidants, contains 18 amino acids, and can boost your immune system, Goji berries make a great smoothie ingredient. They’re considered as one of the superfoods because of their immune-boosting and vision-protecting properties. Also, they help keep your liver and kidneys healthy. Most nuts like almonds are high in healthy fat contents which provide a high amount of energy as well. They’re full of magnesium and also works as appetite suppressants keeping your hunger at bay. Try to soak nuts in water the night before which helps with digestion and is also easier for your blender to chop them up without hurting the blades. Known as one the best superfoods for energy, maca powder will increase your alertness and make feel more awake and alive without the crash of coffee. It’s rich mood-boosting B vitamins, amino acids, and brain-boosting fatty acid content, will help combat fatigue and boost your energy in no time. Whether you want to be fit this summer or just want to stay healthy, smoothies are one the easiest and best ways to get started on the road to wellness. And by simply adding these superfood ingredients to your drink, they’ll definitely help supercharge your body for the whole day. So give them a try and boost your energy. Let me know what you think! Now if you have any questions, just let me know in the comments down below or email me! I’d love to hear about them!